Previously we have hailed Glenn Beck's honest dissent toward President's kill list of terrorists overseas that includes Americans and criticized his complete, unexplained turnabout in the aftermath of an announcement that an American was killed by drone strike in 2011. A recent report about the targeting of yet another American for assassination is in the news, but -- if Beck's newsletter is any indication -- Mr. Beck is ignoring this topic even though he has previously called for President Obama's impeachment for made-up reasons. Instead, Glenn Beck is railing against people not working hard enough. For all of his candor, Scahill did not use the "I" word. There is no provision in the Constitution for the killing of an American suspected of collaboration with an enemy of the United States without due process, and it can be argued that the assassination of Anwar al Alwaki was an impeachable offense. Of course this won't happen because virtually the entire establishment, Republican and Democrat, puts national security over the Constitution. 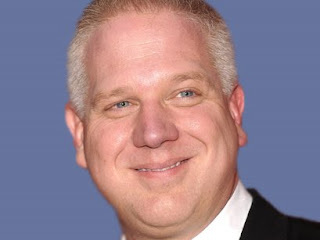 It is ironic to be now making the case that President Obama should be impeached in The Glenn Beck Review, a blog that was established, in part, to expose Glenn Beck's lies about and race-baiting toward the President. While this controversy is bubbling, Glenn Beck is focused, instead, on a more conventional, right-wing theme: people should not have health care insurance unless they work hard for it. One can only guess why Glenn Beck stopped opposing the unconstitutional murder of Americans when he's been so anxious to see the President impeached.